The Mall at Sundial has everything you need to win their heart this Valentine's Day! 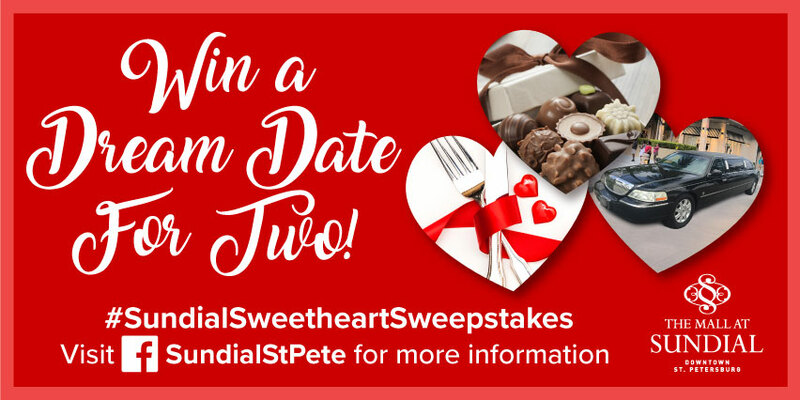 Three lucky couples will WIN an all expense paid dinner, luxurious round trip limo ride, bottle of champagne + gourmet chocolates in our #SundialSweetheartSweepstakes! We'll announce (3) winners on Facebook at 12 p.m. on 2/8.